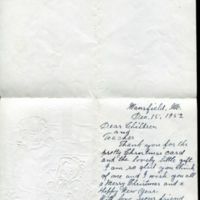 Wilder, Laura Ingalls, “1952 December 15 : Christmas card to class,” Digital Winfield, accessed April 21, 2019, https://winfield.digitalsckls.info/item/10. 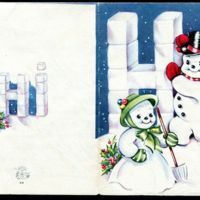 Thank you for the pretty Christmas card and the lovely little gift. 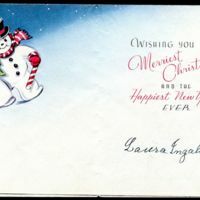 I am so glad you think of me and I wish you all a Merry Christmas and a Happy New Year.